Enhance the feel of your event or add some more fun. 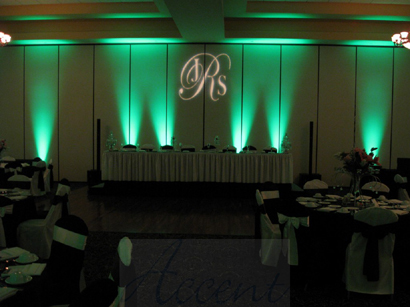 LED lighting can truly enhance the feel and atmosphere of any venue. Your color choices are endless with RGB mixing. Our LED lighting stays cool to the touch and you can save on expensive power drops. Being able to control the colors, the room can actually change color all night at the move of a slider. The walls can pulse to the beat of the music. You can accent a room or completely change the look. 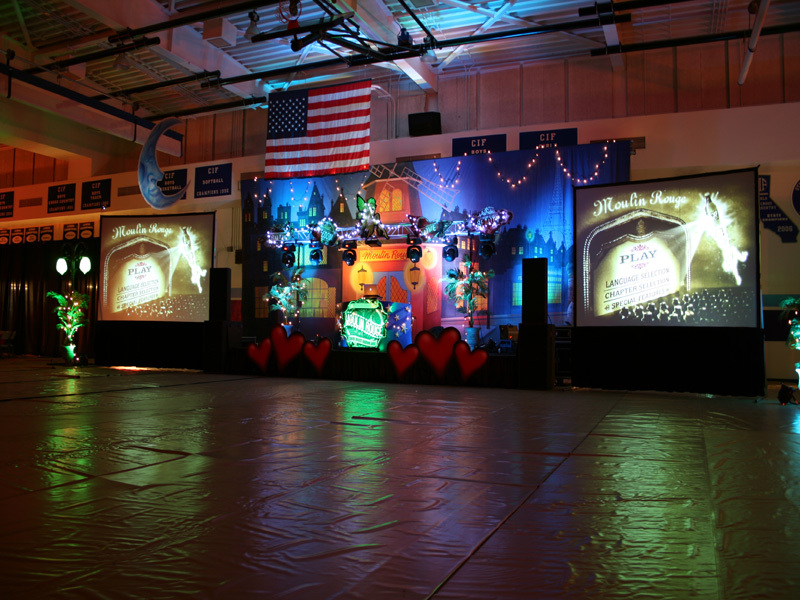 Add a personal touch to any event with a projected image on the wall or dance floor. We offer full color options, so you are not limited to the standard white monogram. You can have a full color picture if you choose. For our corporate clients, their logo can be shown bright and big for all to see. Whether we are creating an intimate romantic feel as you share slow dances, or we kick it up and juice the energy with a fantastic light show, the mood is greatly effected with the use of dance floor lighting. A simple one tree light stand can help get the dance floor jumping. 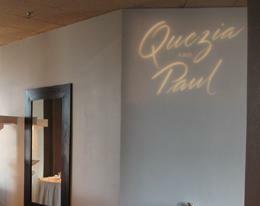 We also offer true club style DMX lighting that will rock your party. 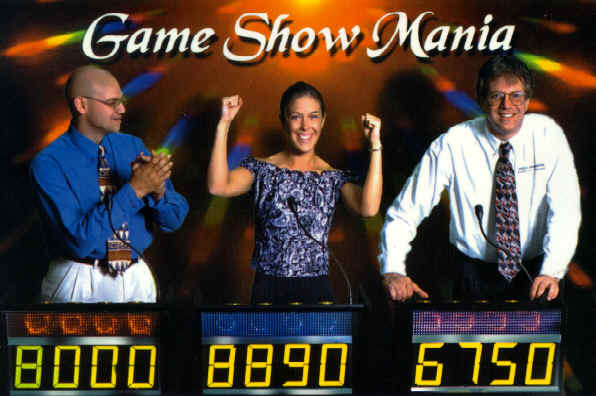 Involve your guests with a jeopardy style trivia competition or Face Off in a Family Feud type head to head battle. Whether it is used to test your employees on policy and procedure or quizzing your guests on the birthday boy... it is fun for all. We can even bring screens so you can see the question board or the top 5 answers on the board! 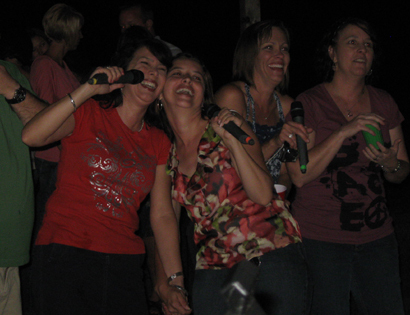 You and your guests can be the star when you take center stage and sing your favorite hits. Not just a tiny monitor anymore, your lyrics can be seen on Plasma TVs or Big Screens. Our Karaoke library is huge. We work hard to keep it current so you always have your favorite songs to sing. Live video is critical for seminars, awards banquets and conferences. Be seen and heard by your audience. People love to see themselves on TV! Now, during your event, as your guests dance the night away, the energy is off the charts as they see themselves in living color. Live Video works well for all types of events. 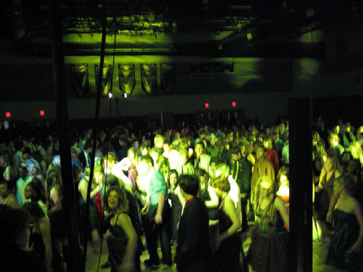 Students at their dances love it, you will too. Why just listen to the music when you can watch it as well. 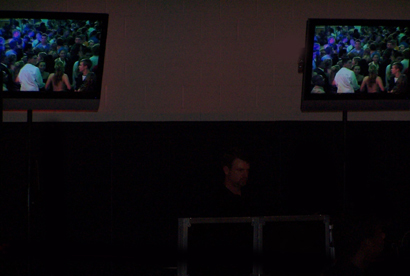 Dance the Cha Cha Slide as Mr. C leads you on the screen. Let Elvis personally serenade you as you share that special slow dance. From Plasmas Monitors to Large Projection Screens, you can hear AND watch it. Your guests will smile, cry and cheer as they watch your love story unfold on our screens. Set to the perfect music, pictures and video can take you from babies, to engagement, to the wedding celebration. DVD Slide Shows are not just for weddings. We can create your story. They are great for birthday parties, anniversary celebrations or corporate training.